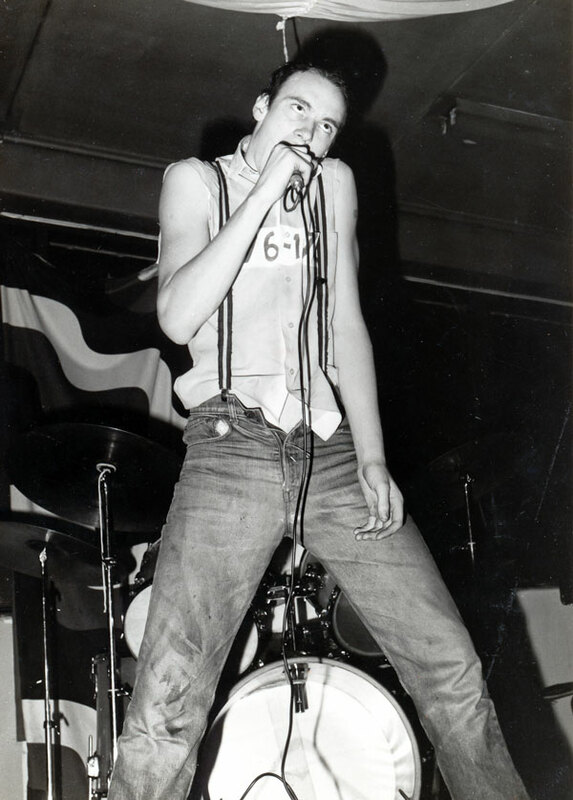 Officially released in early 1980, despite its title (although a few copies turned up in the shops in late 1979 - see below), AK79 is the defining release of the thriving Auckland punk scene of the late seventies. Its release was more a document of a scene that was passing - that had more or less moved on - as it had or was all over the planet, than anything then current. And as such its release was timely. 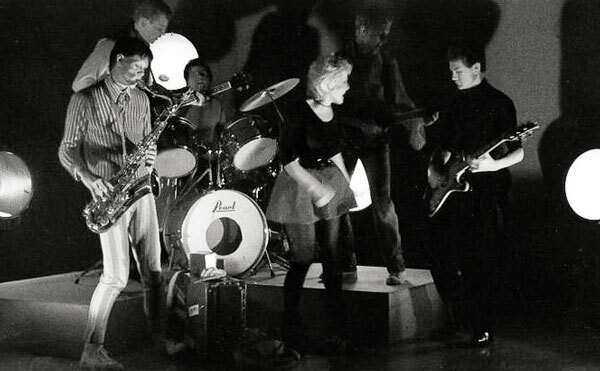 The Suburban Reptiles (with Phil Judd on right, and Des Hefner drumming). Saturday Night Stay at Home video shoot. The CD reissue in 1993 was an attempt to expand that record to cover a wider overview of it and create a historical record of a special - and now distant - era, in Auckland city. Frankly put, if events - and to those there at the time, this was a major social event - and cultural explosions like these are not documented, time tends to blur and they are forgotten over time. In New Zealand much of our street level popular culture has already been allowed to fade - sadly and continues to do so. The musical rupture that hit the Northern Hemisphere in 1976 filtered slowly down to New Zealand - through the fog of the the country's state enforced isolation. Much of that history is covered here and elsewhere, including the liner notes of the CD reissue of this album, plus wonderful sites like Mysterex. 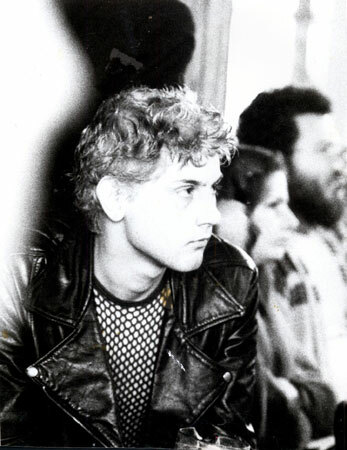 The album's history begins in 1978 when Bryan Staff, a radio DJ on an Auckland commercial station, 1ZM, first started to show an interest in the dozens of new bands playing around the Auckland area. 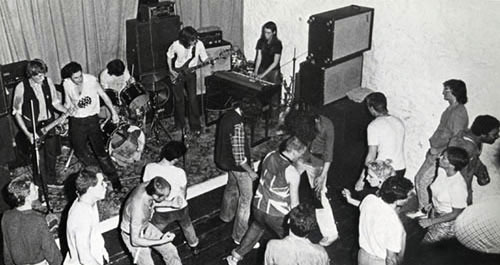 The bands were, by mid 1978, centred around a new Auckland venue, Zwines, housed in a 120 year old stone building off Auckland's Durham Lane. The building had a quite a history. 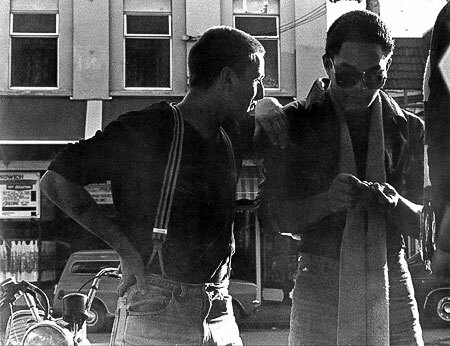 It was - so the story went - Auckland's first jail, and in the sixties and early seventies it was a nightclub where some of the more legendary bands in Auckland's rock'n'roll history had played. In the early to mid 1970s it was Grandpas & Granny's (perhaps the worst rock club name ever?) owned by - amongst others - Tommy Adderley, who was at the time, Auckland rock royalty. However, by the end of 1977 it was largely derelict. 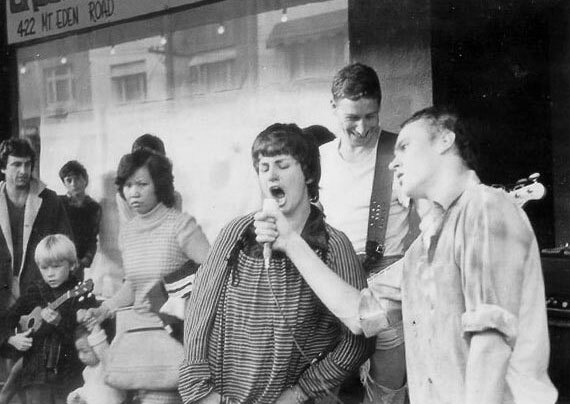 In the early months of 1978 it was - and the word should be applied very loosely - refurbished as Zwines, and became Auckland's second dedicated punk venue (the first, Hugh Lynn's Diamond Dogs in Queen Street, was short lived). Jonathan Jamrag / Proud Scum @ Rock HQ. In their wake there were countless bands formed - names like Get Smart, The Aliens, The Idle Idols, The Mucky Pups, The Rednecks, The Stimulators and so on. Some mutated into others, all cross bred with each other and the scene grew hugely. In 1978 New Zealand had virtually no local recording industry. True, a few bands were recorded by the majors, but mostly they were a fairly safe and sad bunch and many are best forgotten. Staff came up with the idea of asking bands to bring in tapes to the station he was working at - encouraging a few of these punk acts to record. From there he took the concept one step further. He decided to compile an album of some of these acts, using whatever funds he could scrape together. Some acts provided their own recordings (such as The Swingers), some worked on Radio NZ downtime, some at Mascot after Staff worked out a cheap rate there. The idea was that whatever return came from the album would go towards singles by the bands, and other acts in the scene. To this end, Bryan formed a label, Ripper Records. Over the next few months the album came together and a name - AK79 - and a sleeve, designed by Terence Hogan, was applied to it, with the now legendary image (of one of The Terrorways, Dean Martelli). The only band who really didn't fit were The Swingers, led by Phil Judd, who made it on to the vinyl by virtue of the fact that they were now signed to Ripper via a Mike Chunn connection. The stumbling block was, however, pressing and finding the funds to pay for 250 copies, now being demanded by Ode Records, who had arranged pressing. Enter Record Warehouse, an Auckland based record chain, whose Roger King agreed to take all 250 and pay in advance for them. That allowed Staff to, if not cover all his costs, at least get the records in the store. And so it was as the new decade turned, AK79 hit the shelves. And left the shelves - within a few days they were all gone. Two hundred and fifty more were pressed in early 1980 and sold to stores other than Record Warehouse, followed by another similar run a month or two later. And that was it for a time, until Bryan moved his label's distribution to CBS in late 1980. They repressed the album early in 1981, and even did a now very rare cassette edition. You can tell the CBS pressings by the copyright line at the bottom of the label - the first 750 didn't have it. However by the end of 1983 Ripper was no longer operating and the album was no longer available. Total sales under 2000 copies. Over the next few years it became harder and harder to get, and attained an almost mystical status, selling for big bucks around the world. 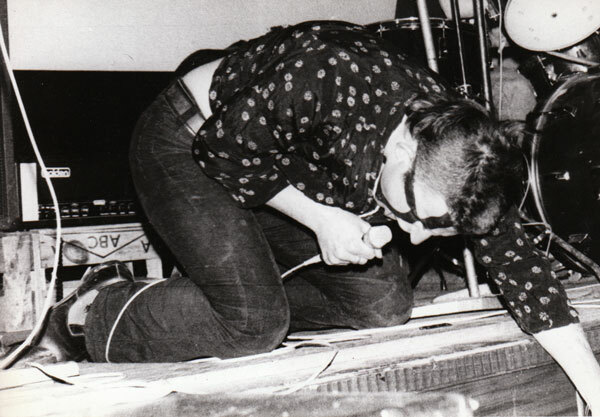 John "Atrocity" Jenkins, Windsor Castle, Auckland, 1979. About 1990 Bryan Staff passed all the Ripper masters to Flying Nun for safekeeping, but little was done with any of them immediately. 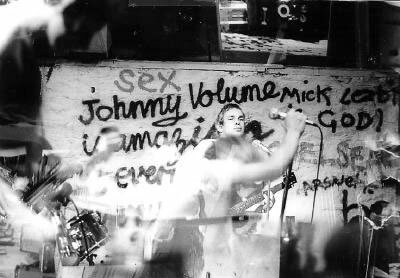 In 1992 I approached Roger Shepherd and suggested that perhaps we should look at a CD reissue of AK79, although we should use the opportunity to expand it - to turn one of the few releases from the NZ punk scene into a document of the time. With that wider objective in mind, and having agreed that the album would be a joint release between my Propeller label and Roger's Flying Nun, we went ahead at full speed. I complied what I though would be an appropriate track listing, using a bunch of songs from Propeller and Ripper many of which were unobtainable. There was a little duplication with my Bigger Than Both of Us collection, but that too was out of print at the time. There were a few unreleased tracks too, plus some singles, such as The Suburban Reptiles' debut which had never made it to LP or CD before. I spent the next few months tracking down masters and photos before we finalised a track listing. The Terrorways @ The Globe. I remastered the compilation (and mixed an unreleased Suburban Reptiles track, and their debut single, Megaton which now existed only on an unmixed 4 track) at Airforce Studios in 1993. The whole thing was repackaged, around Terry's original artwork, by Andrew B White at Revolver with extensive new liner notes from myself and Kerry Buchanan, the original drummer from Rooter, plus Bryan Staff. It was released early in 1994. 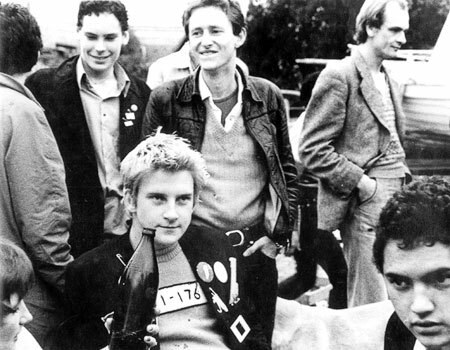 Thus the world now had AK79, the CD - the defining collection of the Auckland punk scene - a hugely important scene that changed the city and the music that has been made in it since. It's a collection which I'm not only quite proud of, but also one that stands up to repeated listening some three or more decades after it was all recorded. The album ties up an era in Auckland - the punk era, which completely changed the music scene in NZ thereafter and forever - which existed from early 1977 through to early 1980, although it had mutated into something else by the end of that	year - anything calling itself Auckland punk after that date really had little to do with this album and the acts and scene it represents. Musically quite brilliant in (many) places and truly iconic, AK79 is a tribute, not only to the often extraordinary and inspiring bands who played in the scene, but also to the vision of Bryan Staff, without whom much of this music and history would have been lost. 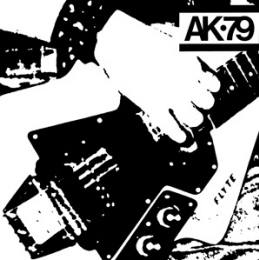 AK79 is still available on CD on Propeller / Flying Nun. A 2008 double vinyl version with a red cover was unofficial and unlicensed. 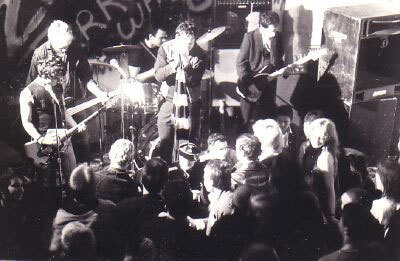 The first post 76 punk single released in NZ and the first 12" single released in NZ. 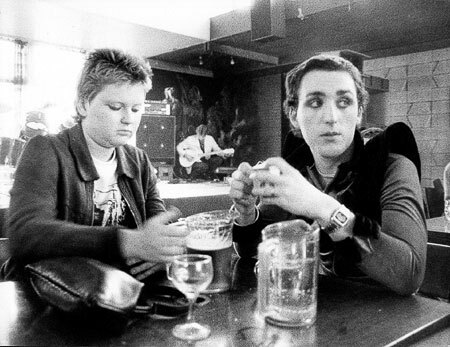 Recorded Sept 77 at the original Harlequin, Mt Eden Rd. Produced by Doug Rogers (credited as Doug Harlequin) and Suburban Reptiles. Mixed for CD by Simon Grigg (the mixed master is missing). First CD issue. Recorded Sept 77 as a demo at Harlequin Studios with Doug Rogers and Tim Finn, previously unreleased. Mixed in 1992 by Simon Grigg. Recorded as a single with Mike Lesbian on vocals, Jan 78. Planned for issue on Polydor 45 but never released. Recorded at Mascot Studios mid 78. Produced by the band. Recorded at Mascot early 1979. Produced by the band. Recorded as Mysterex. Features Des on the talking bit. 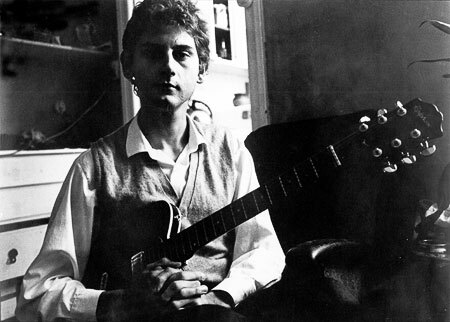 Recorded as with I am A Rabbit, but written by John "Atrocity" Jenkins. The band that didn't quite fit the orginal album. Produced by Phil Judd and recorded mid 79 at Mascot. Recorded by the band at Harlequin April 79. Recording as with Certain Sound. Recording as with Funny Story. A story of Auckland street violence and of its time. Recorded at the same sessions as Squeeze. Their second single, recorded at Mandrill, April / June 78. Released Sept 78. Produced by Phil Judd. Produced at Mascot late 79 by Bryan Staff & Mike Chunn. Produced at Mascot mid 79 by Bryan Staff & the band. 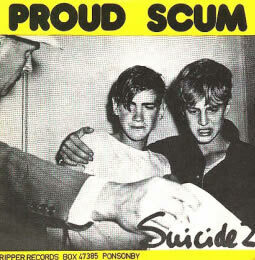 Produced April 1980 at Mascot, by the band, Simon Alexander (uncredited on the single sleeve) and Steve Crane. The CD says this had UK release on Postcard - not true, it was the POP:AURAL label. produced in Melbourne late 79 by the band. Recorded at the same sessions as above Toy Love tracks. Only prior release on a US Bomp Records collection, 1980. 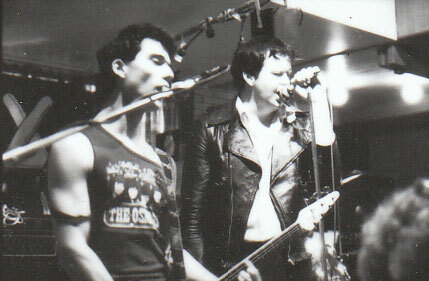 Off their second single, recorded at Harlequin by the band with Simon Alexander. Produced in May 1980 at Mascot, by Barry Jenkin.